During paraffin blocks cutting, electrostatic charges may often occur. These charges make the ribboning difficult, as the sections stick to the paraffin block itself, to forceps and to user’s fingers. The transfer to water bath is almost impossible and this cause a delay in the procedure and sections ribbon may break up. 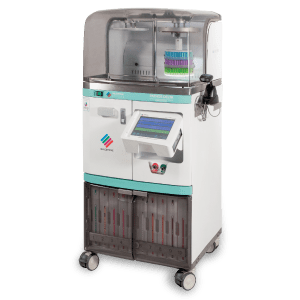 This is related to both paraffin components, pads embedded along with tissues and to laboratory air dryness, related to A\C laboratory as like as to season’s change. EasyCUT neutralize these electrostatic charges and thus it helps technicians in obtaining a perfect, non sticky, wrinkle free-ribbon, without shattering effect and easy to transfer to the water bath. for a more efficient slides preparation. grants an efficiency turn around time. Its built-in led lamp helps the working ergonomic in low light conditions. The sections ribbon is perfectly stretched with neither shattering nor scattering. It does not break up in the water bath. Its universal structure makes it fully compatible with any laboratory microtomes set up. 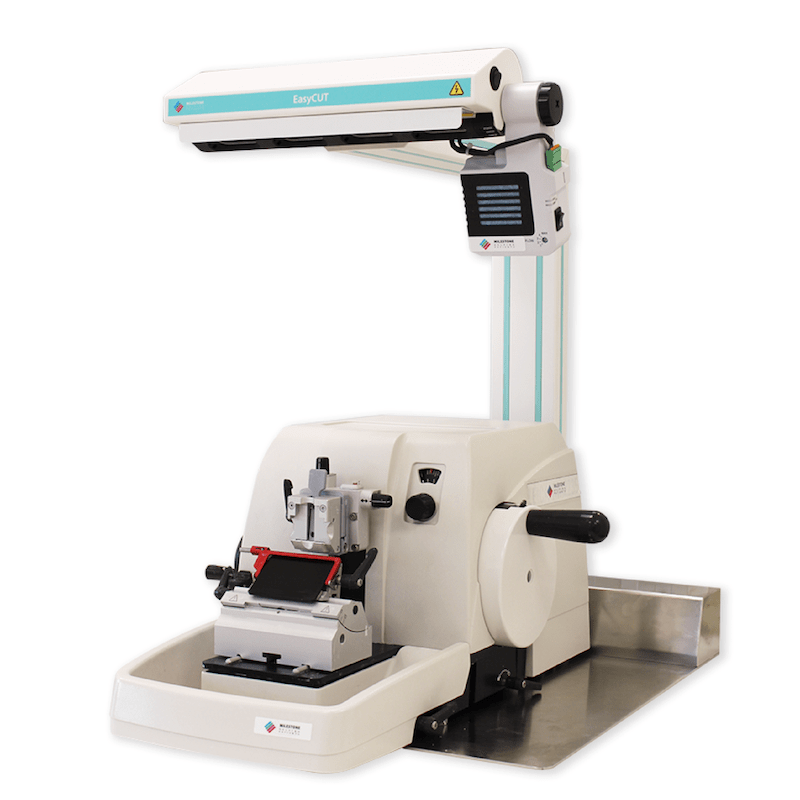 EasyCUT needs just the microtome foot print and it does not impair routine procedures. It’s made to last. EasyCUT is resistant to laboratories’ harsh conditions for long lasting durability, with no need of maintenance.